Silver Spectrum was set up in 2005 to give former members of Sheffield Music Services an outlet to perform following the completion of full time education. The band grew from there, establishing itself in the wider community and including people returning to their instruments. We have played at the National Concert Band Festival for several years, building up to a Platinum award which led us to playing at the National Finals at the Royal Northern College of Music in Manchester. 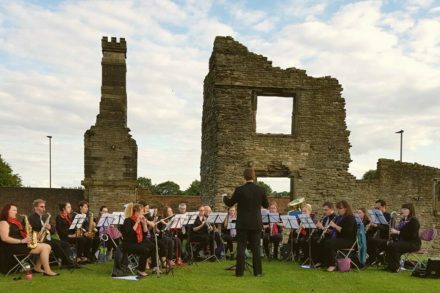 We play a range of music, from the expected film and musical scores, to concert band arrangements of classical pieces and music written for concert band. Whilst we don't audition players, we do suggest they can play to around Grade 5 standard to be able to cope with and enjoy the music we play.